Little Beach on the Mediterran See with Parking – Street is near! Okay to stay for one Night, but not nice to stay longer – cause the Street is very near! The Beach is small, but nice. Free-WiFi (ask for the Password) – found in a small Restaurant in the City (sorry – don’t remember the Name) – not reachable by feet. 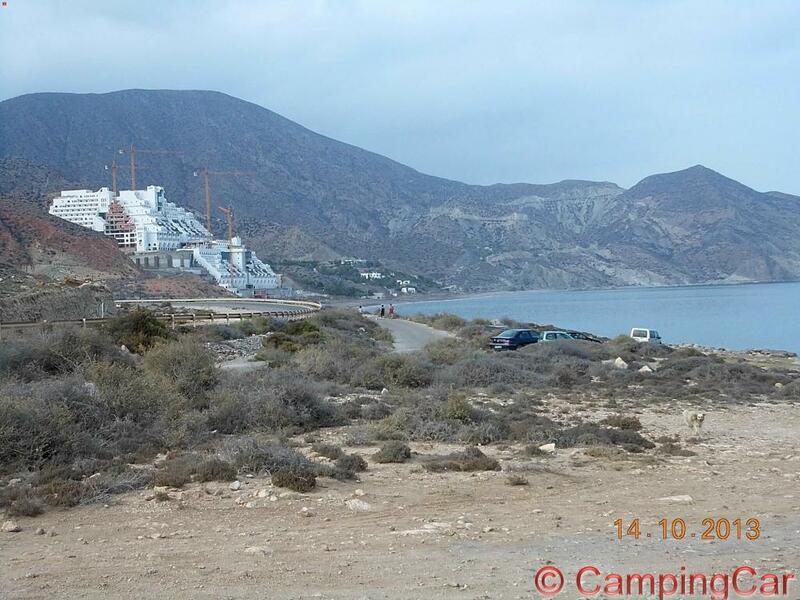 Parking is not easy with a CampingCar. This Articel was read 577 times! 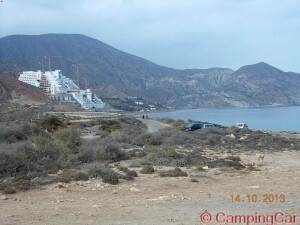 Dieser Beitrag wurde in Countries, Free Camping - Wild Camping, GPS, Spain, Travel-Facts, WiFi veröffentlicht und mit Beach, Beach on the Mediterran See, Beach with Sand, CampingCar, Carboneras, Carboneras Nord, Free-Camping, Free-WiFi, Mediterran See, Province Almería, Reisen mit dem CampingCar, Reisen mit dem Wohnmobil, Reisen mit dem WoMo, Sandstrand, Small Beach, Spain, Spanien, Street near, Travel with the CampingCar, WiFi, Wild-Camping getaggt.